Unique and useful items like our sensational promotional mouse mouse are designed to create an exceptional setting for your business logo and provide your customer with a constant reminder about your business with every movement of their mouse across one of these colorful logo mouse mouse. Think about how many times a day you get on the computer, for most people they are on their computer a few times a day and for some people they are on their computer constantly at work, home and school. There are so many good things about using a computer and the good thing about advertising on someone’s computer desk in their home or workplace is that this promotional mouse mat will be seen by others. Very often, computers are located in the main room of the home or at the front desk in an office setting and having your business information right there can really help to get your logo noticed. In this section, we offer some very unique looking promotional mouse mouse that not only work for business and home but will stand out and be seen over and over again. 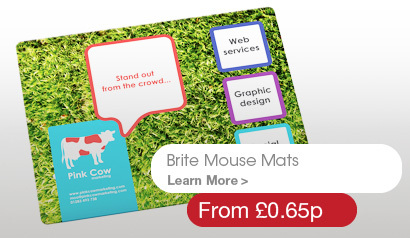 Hard mouse mats, soft ones, ultra thin, gel or cork no matter what your preference you are sure to find it here at Yes Gifts, where we take your business and your promotional needs seriously.